As I mentioned towards the end of last year, this ski season was going to include two amazing trips to St Anton am Arlberg in the Tirol region of Austria, with the first being an all-girl press trip with Visit Tirol. Visit Tirol are the destination partner for the Go Ski Go Board initiative by Snowsport England, which has been set up to encourage people to either get into or back into snowsports through lots of events around the country. When you’ve brushed up on your skills at your local indoor or outdoor slope, it’s always great to step things up a notch with a trip abroad to the Alps to get a taste for some real snow and mountains. 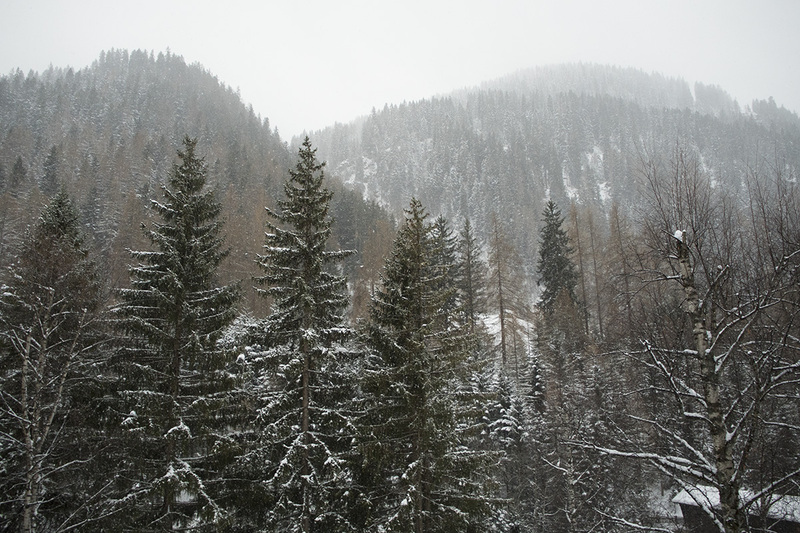 I’ve been on four very long coach trips to the French Alps, so I was pleased to hear that to reach St Anton we would only have a short flight to Innsbruck (2hr20 from Manchester, 1hr55 from London Gatwick) and an equally short transfer from the airport (approx 1hr30) to our hotel in the resort. Considering some French resorts have a 4 hour transfer time from the airport, including quite a nauseating ascent up the mountain, St Anton really wins this one! I couldn’t believe we had even gone any higher from the airport, it was such a smooth transfer. When I found out that we’d be staying in the 4* Hotel Valluga, I was beyond thrilled as the hotel looked like such a warm and inviting alpine retreat from what I’d seen in my pre-trip research. The hotel was originally built in 1952 but it was sold and restored to its current glory a few years ago by its new owners Mikael and Johanna Landström, who also own two luxury hotels in Mallorca, Spain. They’ve done an amazing job and created a really cosy retreat right in the heart of the village, but tucked just far enough away from the hustle and bustle of the main village street. They have suites available for families but I stayed in one of their large double rooms, which boasted an incredible view of the slopes, a huge bed, a super high ceiling with wooden beams, lounge area and generous en-suite bathroom. As well as extra amenities such as a Nespresso coffee machine, iPhone docking station/radio, flatscreen TV and stocked up mini bar! 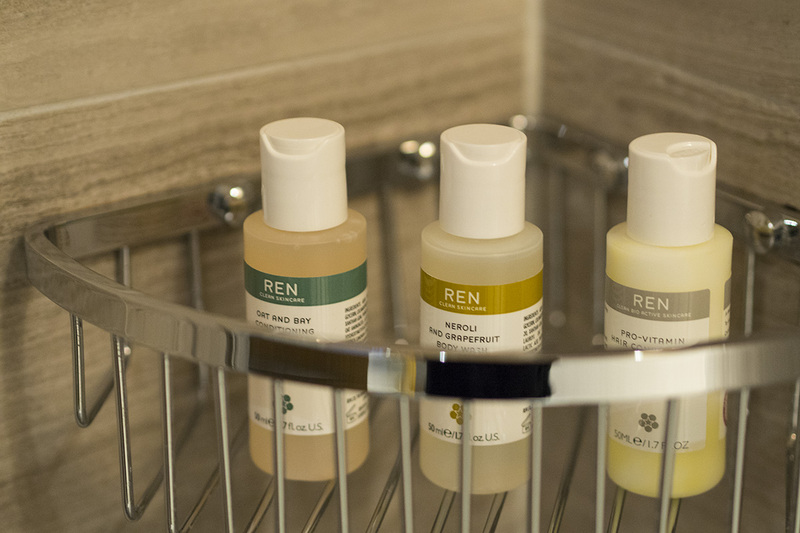 In the bathroom you’ll find a selection of REN Skincare toiletries, including body lotion, shower gel, shampoo and conditioner, meaning you can save a little room in your suitcase and shower in style during your holiday. They’re the perfect accessories for the huge walk-in rainforest shower, which was a godsend after a sweaty day on the slopes. If you’re a bath kind of girl, all is not lost as in the basement of the hotel is the most relaxing little haven of a spa, with water beds, sauna and a swimming pool with jacuzzi beds. As well as a gym and massage treatment rooms for those who want to do a little more or unwind after a day of skiing/snowboarding. Heaven! 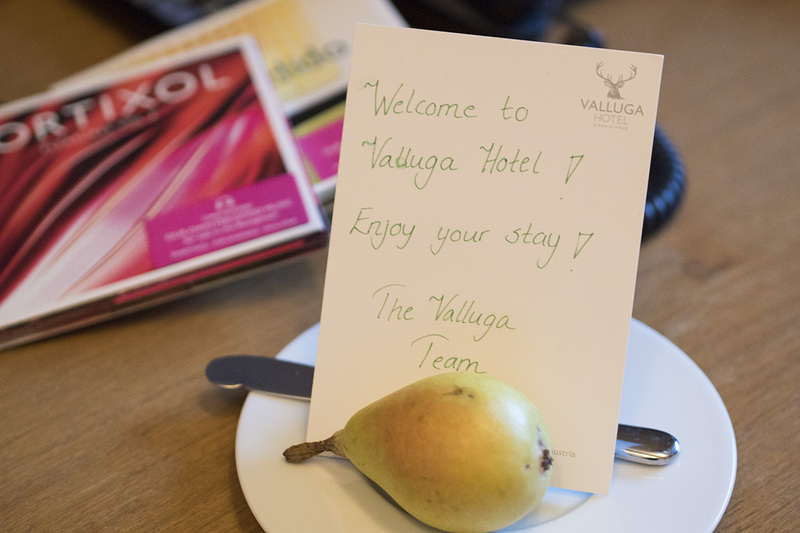 Breakfast is a really key part of your day when on a ski trip, with lots of fuel needed to ensure your body can keep giving its best when tackling those tricky red or even black runs, so I was keen to see how Hotel Valluga chose to feed its hungry guests. 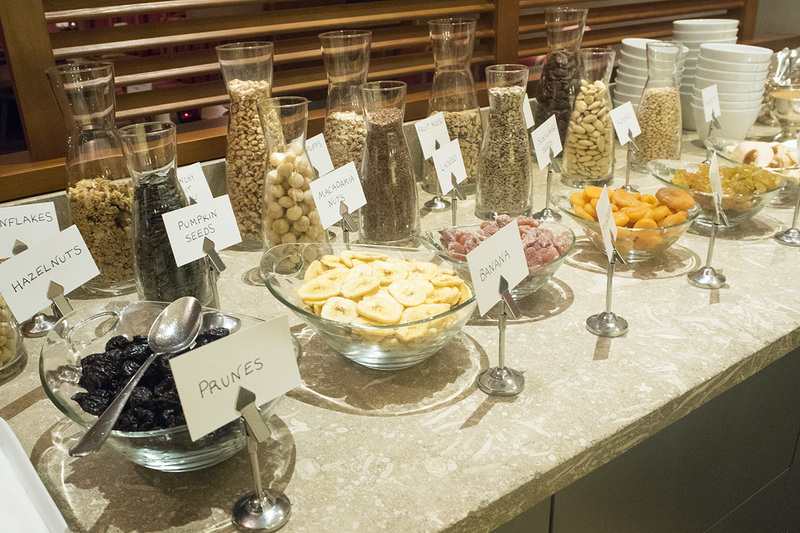 It’s quite a nutritious affair, with lots of cereals, dried fruit and seeds on display to create your own concoctions. 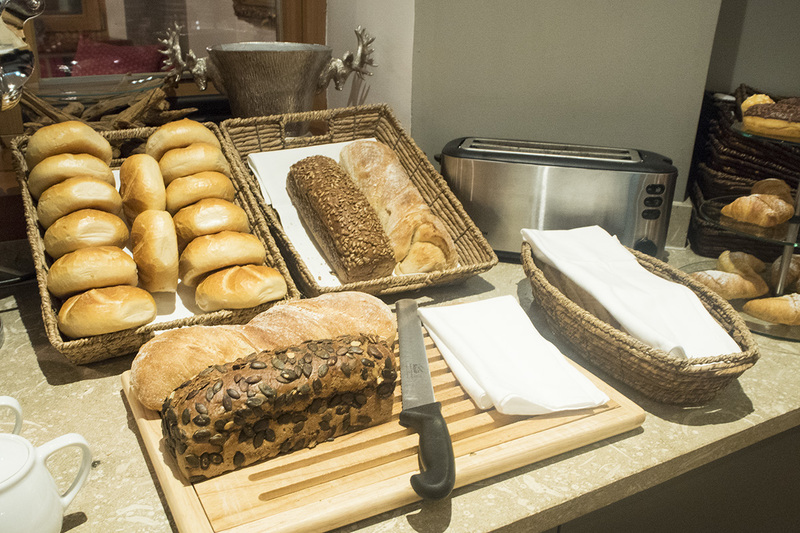 As well as this, there’s pots of fresh fruit, cold meats & cheeses, fresh bread and a huge selection of fruit juices. Fresh tea and coffee can also be ordered from a waiter/waitress but the rest is buffet style, so you can help yourself. Although lovely, I think it would have been nice to have a few hot options, such as eggs and perhaps some sausage, but there’s definitely plenty to fill your plate with. As you leave you can also help yourself to the (non-alcoholic & fruity) shot of the day and a piece of fresh fruit to pack in your bag. 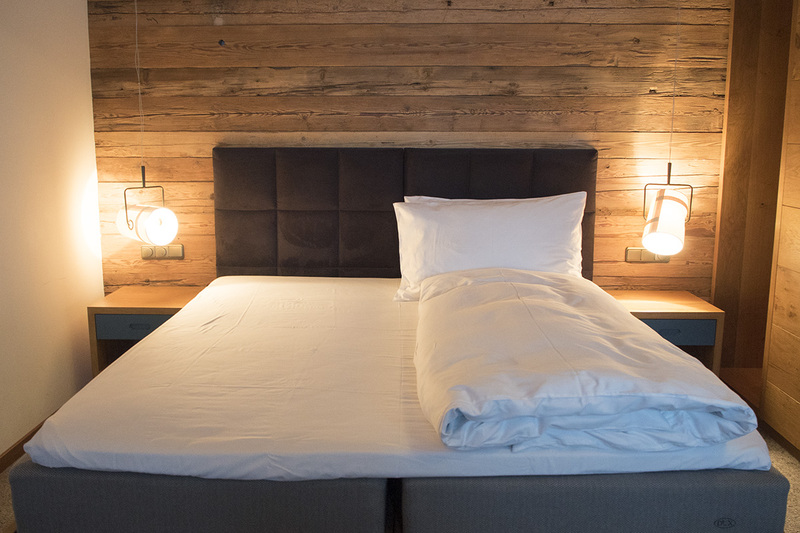 Half board (breakfast & dinner) at Hotel Valluga in a large double room in winter starts from €310 per room, per night. There are regular flights from Manchester to Innsbruck with Monarch or from London Gatwick with Easyjet. 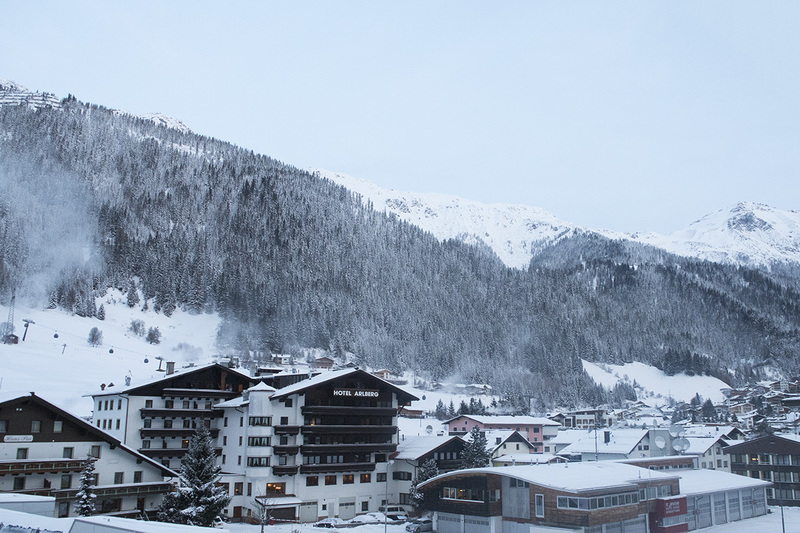 On day two of our trip, we headed across to St Christoph for lunch at Hospiz Alm. Some of the girls skied across from St Anton, but as it was a white out day (heavy snow and little visibility) I decided to get a taxi there with two of the other girls. I’m so glad we did as apparently the blue run across to St Christoph was a bit traumatic! Perfect on a clear day but an absolute nightmare on a white out day. 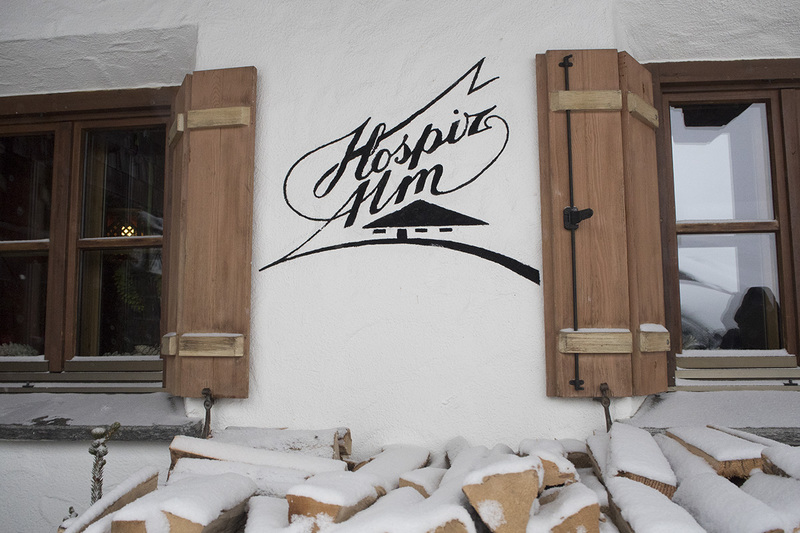 It was blizzard-like conditions outside, so Hospiz Alm was a great retreat from the relentless snow with big open fires and a traditional Austrian atmosphere. I’d highly recommend stopping off here for lunch. We tucked into a big sharing pan of Tiroler Gröstl, which is a Tirolean speciality made up of fried eggs, potatoes, onion and chunks of bacon. Perfect for refuelling after a morning of skiing! For dessert we had a huge pan of Kaiserschmarren to share. It’s a popular Austrian dish of sweet & fluffy shredded pancakes, served with a stewed plum sauce and whipped cream. Once you’ve finished eating, drinking and warming up your frozen toes, you can take a tour of the building’s wine cellar. It’s accessible by a slide, which makes things a little more fun! The cellar is filled from floor to ceiling with huge bottles of wine. 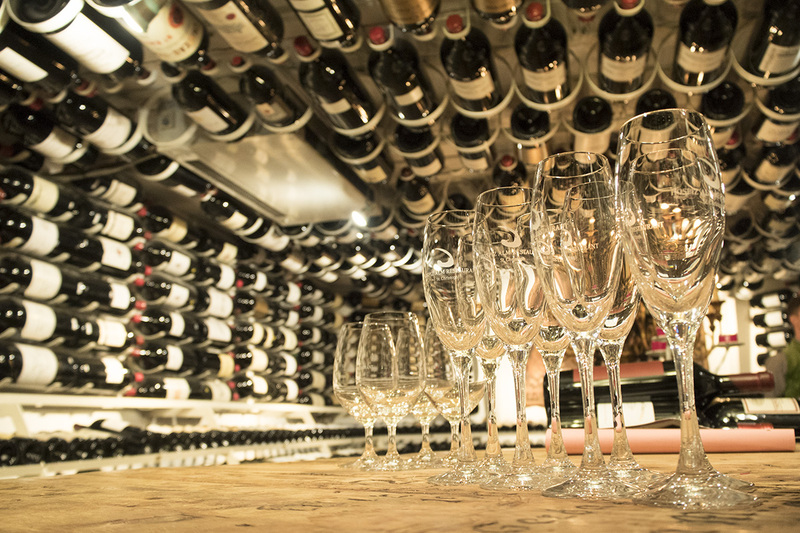 Some are worth tens of thousands of pounds and collectively the wine cellar has £5million of wine… crazy! It’s an interesting way of finishing off a visit to St Christoph. I haven’t really touched upon our time snowboarding and skiing yet, but don’t worry, I’ll be covering that in a separate post. I’ve already rambled way too much in this one post, as I felt the Tirolean food and our hotel deserved their very own post! 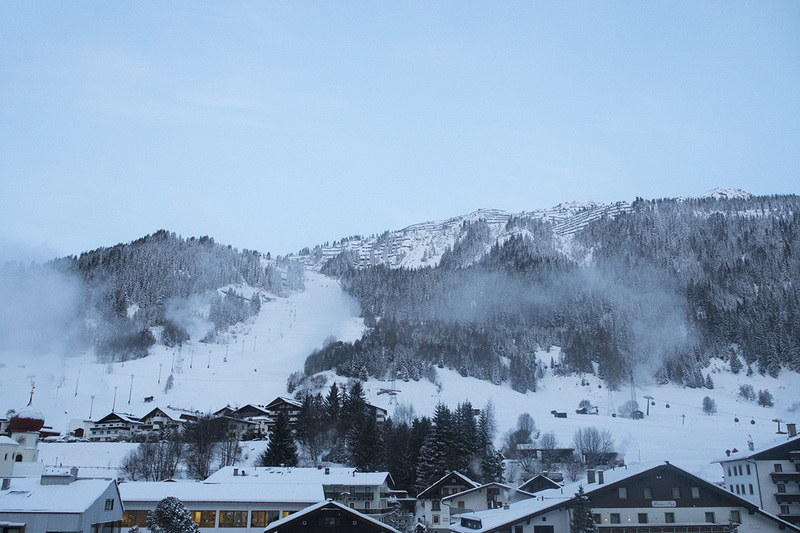 Have you visited St Anton or another ski resort in Austria before? 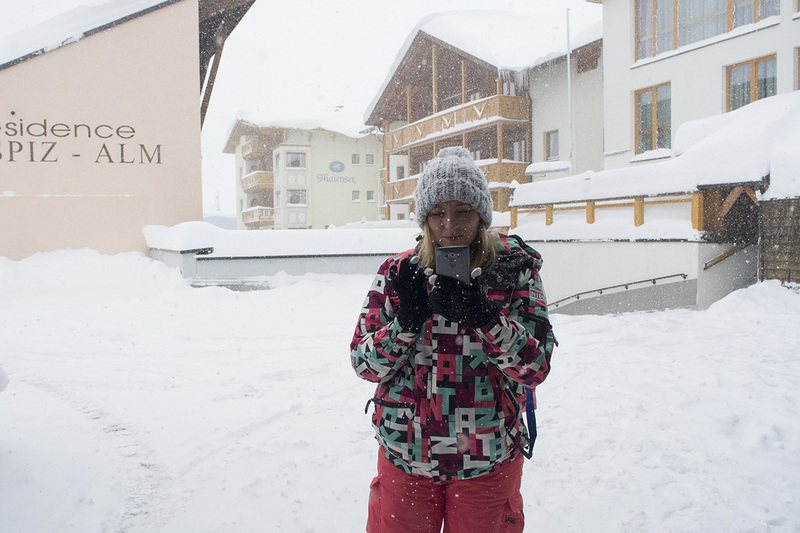 Disclaimer: I was sent to St Anton as part of an all expenses paid press trip with Visit Tirol, the Tirol tourist board. However, all thoughts & opinions are my very own!